Home/Drug coverage/How can I prepare for the Medicare donut hole? Depending on the kind of medicine you need, it might be hard to avoid the donut hole completely – but there are some things you can do to prepare! At work, I get a lot of questions from Medicare members about prescription drugs and the coverage gap, sometimes called the donut hole. And at home, I answer similar questions – from my parents. A few years ago, my mom developed a health problem that means she has to take a regular medicine every day. The medicine isn’t cheap. 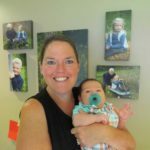 The first year she took it, she hit the donut hole – the period of time where her health plan doesn’t help pay much – and was unpleasantly surprised to suddenly have to pay even more for her medicine. The second year, I reminded her of the donut hole and helped her figure out the cost of her medicine hadn’t changed much. We talked about how she was on track to hit the donut hole again – and she did, at just about the same time as the year before. But this time, we were better prepared for it. Because my mom is retired and on a fixed income, she planned ahead and set aside money for the cost of her medicines once she hit the donut hole. She had a pretty good idea of when she would hit it and how much it would cost based on the past year. She paid close attention to the Explanation of Benefits (EOB) document she got in the mail each month from her Medicare plan. It tells you how much more money you have to spend before you hit the donut hole and, later, how much you have left to spend before you get out of it. She took steps to lower her medicine costs. She switched to getting her regular prescription through the mail, in larger quantities. When she sees her doctor each year, she asks about each of her medicines to see if she still needs to take them, if there are cheaper alternatives, or if she can take them less often. If you need any other medicines, like a week’s worth of antibiotics for a sinus infection, call your insurance company to ask for the least expensive place to get them, instead of just going to the closest drug store. Depending on the kind of medicine you need, it might be hard to avoid the donut hole completely – it is for my mom. Hitting it shouldn’t be a surprise, and planning for it helps make it easier to get through. Some people find that with some savvy shopping skills, they can lower their prescription costs enough that they don’t hit the donut hole at all – and that’s something we can all celebrate. You are reading the “Medicare Donut Hole” series. Confused about the Medicare Donut Hole? This series can help you learn how to prepare for it. Part 1: What is the Medicare donut hole? 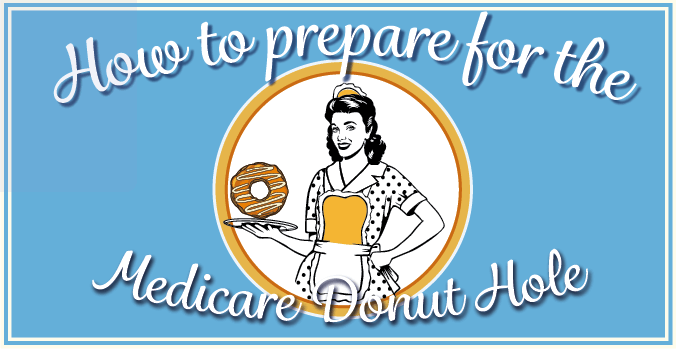 Part 2: How can I prepare for the Medicare donut hole?